Holiday.gr - Firostefani, a trip to a myth! Firostefani is a traditional village with magnificent view, built on the highest point of the capitol on the road to Imerovigli. 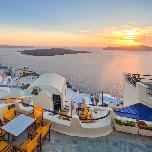 Here you will experience one of the best sunsets in Santorini. 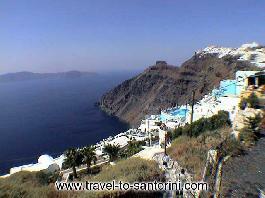 The region has become one of the most popular summer resorts. Luxurious hotels provide high quality services to their quests. Been to Firostefani ? Share your experiences!